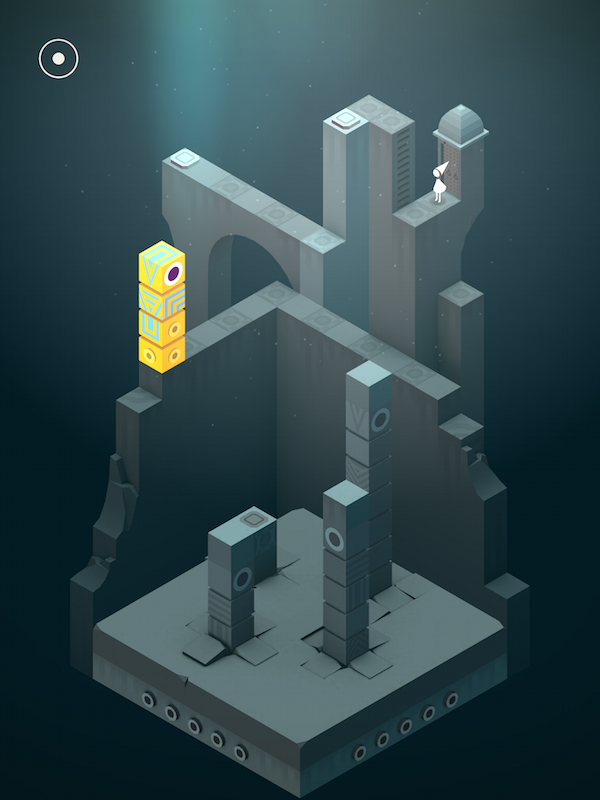 Monument Valley is a 3D puzzle game from UsTwoGames that takes you on a visual journey with geometry art based on the styling of M.C. Escher. You travel fanatically designed monuments with the game’s lead character, a little girl by the name of Princess Ida. 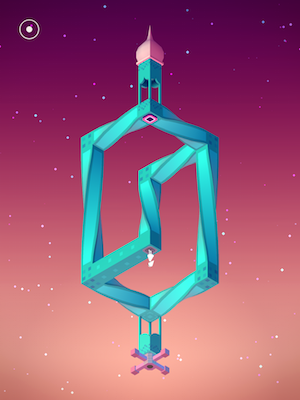 Monument Valley ($3.99) was originally released for iOS devices on March 12. The game was also subsequently released on Android devices and the Amazon Kindle. 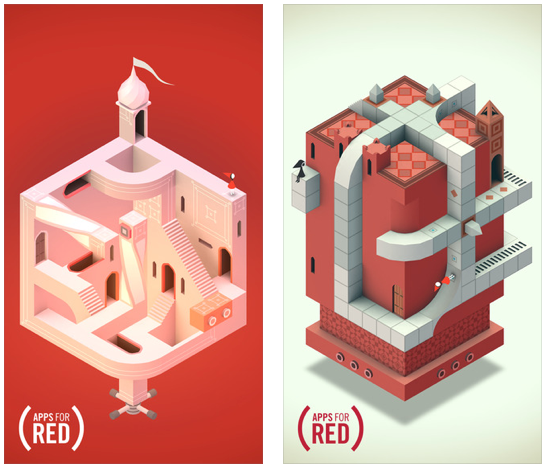 With only 10 levels, the first edition of Monument Valley was visually impressive and challenged you to look at each beautifully rendered level on multiple levels to help Ida navigate her way around each monument. I really enjoyed playing Monument Valley, but I felt just as I really got lost in the art, the characters and the story, the game was over. This November, just eight months after releasing the original, UsTwo released two add-on packs; Forgotten Shores as a $1.99 in-app purchase (IAP) to the original game and Ida’s (RED) Dream, a $0.99 IAP. Forgotten Shores, released on November 12, adds eight new delightful levels to Monument Valley in which you are reunited with Princess Ida and Totem. The levels are still interactive 3D works of art. The difficulty of the new levels is balanced and delivers a mentally stimulating puzzle that is not overwhelmingly difficult. Oh, and you still must deal with the pesky Crow People. 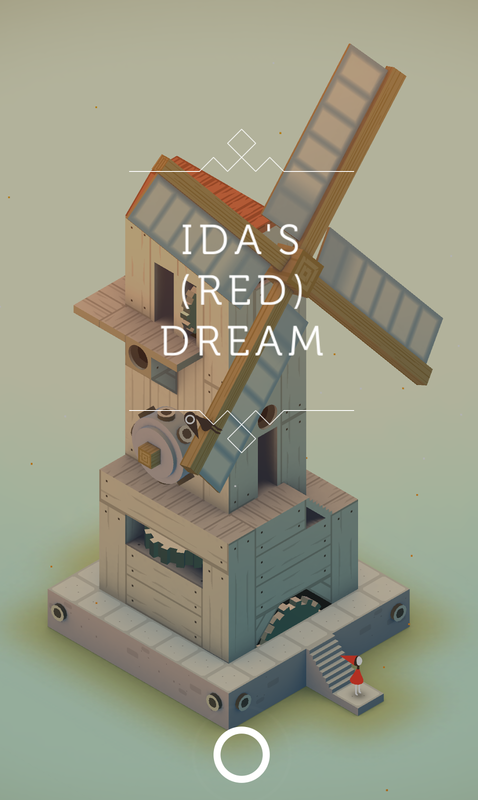 Ida’s (RED) Dream, the second IAP released on November 23, is billed on the Monument Valley website as “One final chapter to fight AIDS.” 100% of the proceeds from this $0.99 IAP level goes to (RED) to help fight for an HIV/AIDS free world. Ida’s (RED) Dream is available for a limited time (December 7, 2014), and I encourage you to buy it while you can. Taken together, Forgotten Shores and Ida’s (RED) Dream offer players nine new levels to explore and enjoy. As you play, you get drawn into Ida’s world and her mission to return the stolen geometry to the various monuments. As with the first game, there was one point in Forgotten Shores where I actually drew in a sharp breath and was saddened by what happened. Not many games on iOS today have that kind of connection between character and player. My two favorite levels have to be Forgotten Shores Appendix i The Chasm and Ida’s (RED) Dream. I like both of these levels for different reasons. In The Chasm, I empathize with the silent princess when all hope appears lost and she is given the opportunity to escape. Without spoiling it for future players, there is a collective sigh of relief near the end of the first room of The Chasm. In Ida’s (RED) Dream, I feel as if all of the elements that make a great game come together: the colors of each level, the details in the architecture, the difficulty of the levels and the reward of completing them, the sound effects and last, but definitely not the least, the soothing background music that sets the tone for the chapter. ...and turned upside down quickly! I’m not usually in favor of IAPs because they have become synonymous with power-up, “coins” or other “resources” necessary to play and win levels in “freemium” games. But these IAPs are different. They add levels, which you own outright, and can play and enjoy over and over again. They continue the story of the characters you get attached too. Forgotten Shore and Ida’s (RED) Dream clearly demonstrates the high production value craftsmanship that goes into a game that you will remember long after playing it. 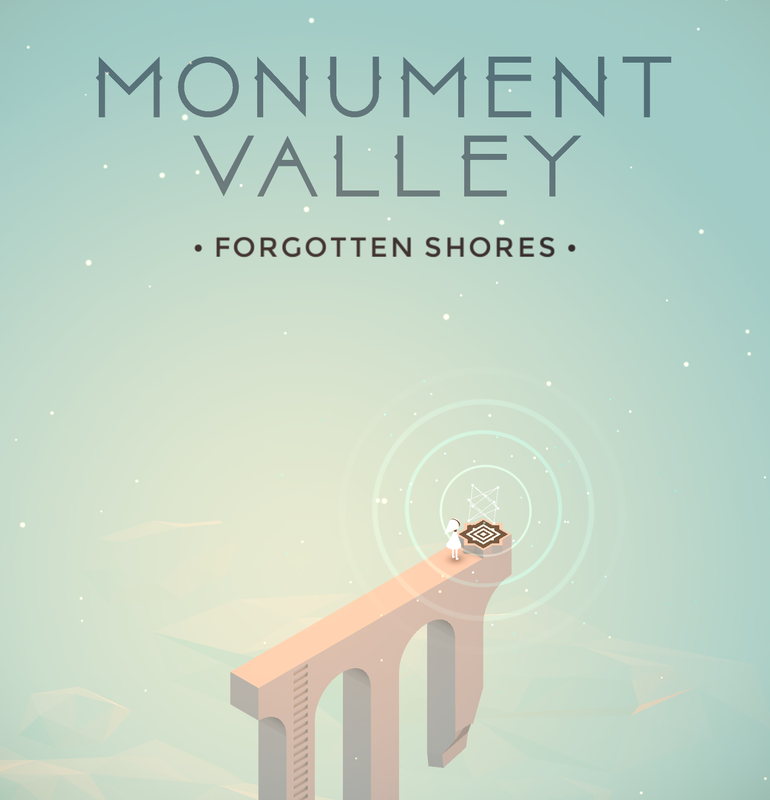 Monument Valley is available now and requires an iPad 2 and iPhone 4 or later to play. Versions are also available for Google Android and Amazon Kindle devices. 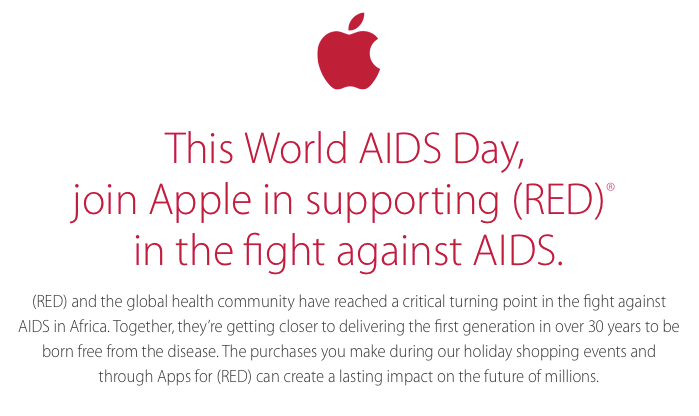 Apple has long been a supporter of AIDS prevention. This year, Apple has launched a multi pronged event to help raise awareness of the fight against AIDS. To start, Apple has posted a special (RED) page on their website. There is also a link to the RED.org website where you can lean more about the work that is being done and the other companies that are helping fight this disease. Apple also has a few other promotions going on for your favorite iOS devices. 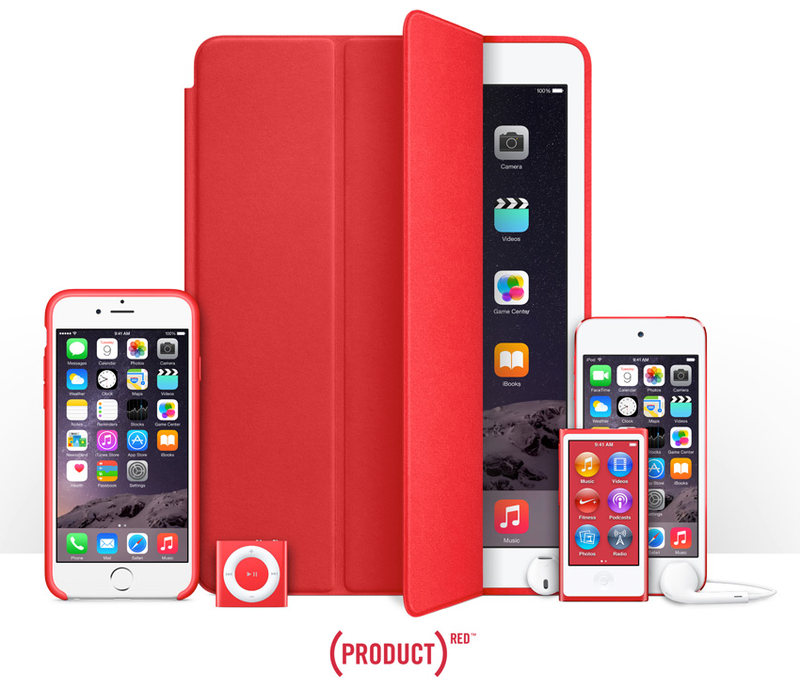 As in years past, Apple is promoting their (PRODUCT) RED devices and accessories. Current model iPods are available in (RED) editions as well as (RED) cases for iPhone and iPad. I have a few of the (PRODUCT) RED cases for my iPhones and iPads. They cost the same as other Apple cases and look great! What's better, is that they are on sale all the time. You owe it to yourself to pick one up and feel good that you are supporting a good cause all the while having a case that looks great on your device! Apple is also running a special promotion on Friday (11/28/14) and Monday (12/1/14). On Friday, when you purchase participating products, you will receive a special (Product)RED Apple gift card and Apple will donate a portion of the proceeds to (RED). Similarly, on Monday, when you make a purchase at an Apple Retail Store or online, Apple will donate a portion of the proceeds from everything they sell to (RED). That's pretty damn amazing when you consider that Monday is "Cyber Monday" and a lot of people will be doing online Christmas shopping that day. New this year, is iOS app developer's involvement in the (RED) campaign. From November 24 - December 7, either 100% of app or In-App Purchase item is donated to (RED)'s Global Fund. There are some really fantastic apps that are part of the program. 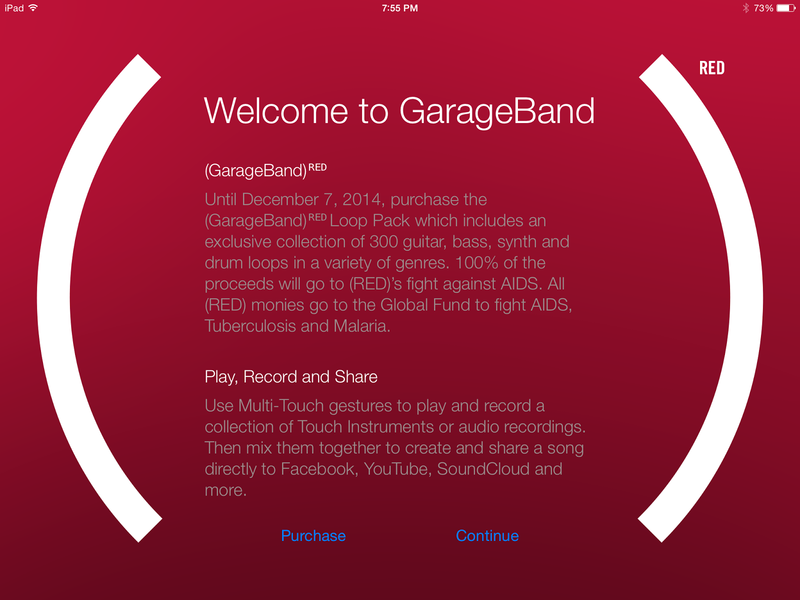 For example, Apple has updated Garage Band with a special (GarageBand)RED Loop Pack. Rovio has created three special (RED)'s Mighty Feathers levels to play. 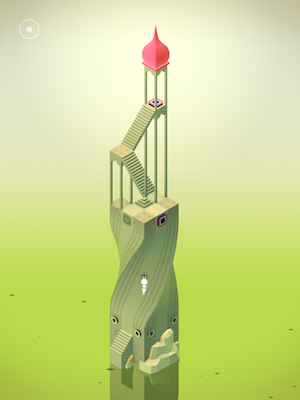 My favorite iOS app that is participating in this year's campaign has got to be ustwo's Monument Valley. With a $0.99 IAP, you can purchase one extra level - Ida's (RED) Dream. If games and making music aren't your thing, there are still other ways to help. In total there are 25 iOS app developers involved this year, with apps like 53, Clear, Kitchen Stories Recipes and Star Walk 2. You can find the complete list of apps and IAP on the App Store. If you would just like to make a donation you can do that too. Just open the App Store on your iOS device and make a donation. 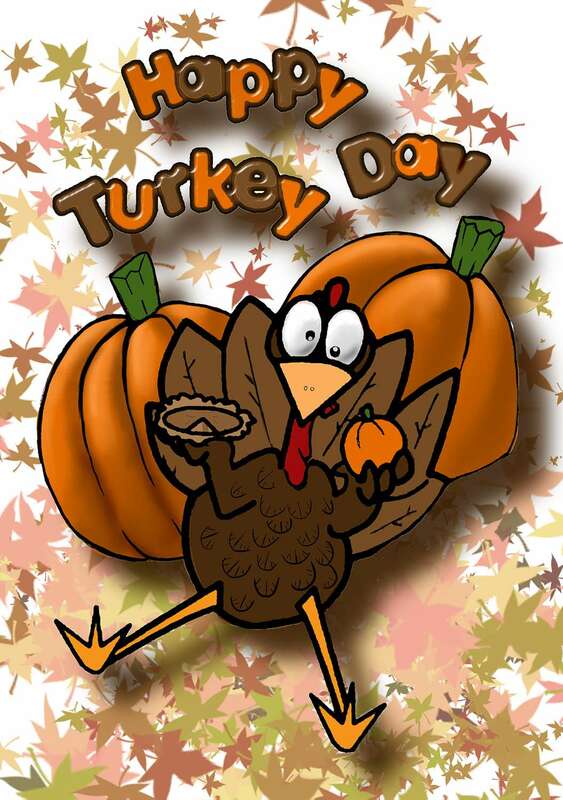 This holiday season, we have lots to be thankful for. 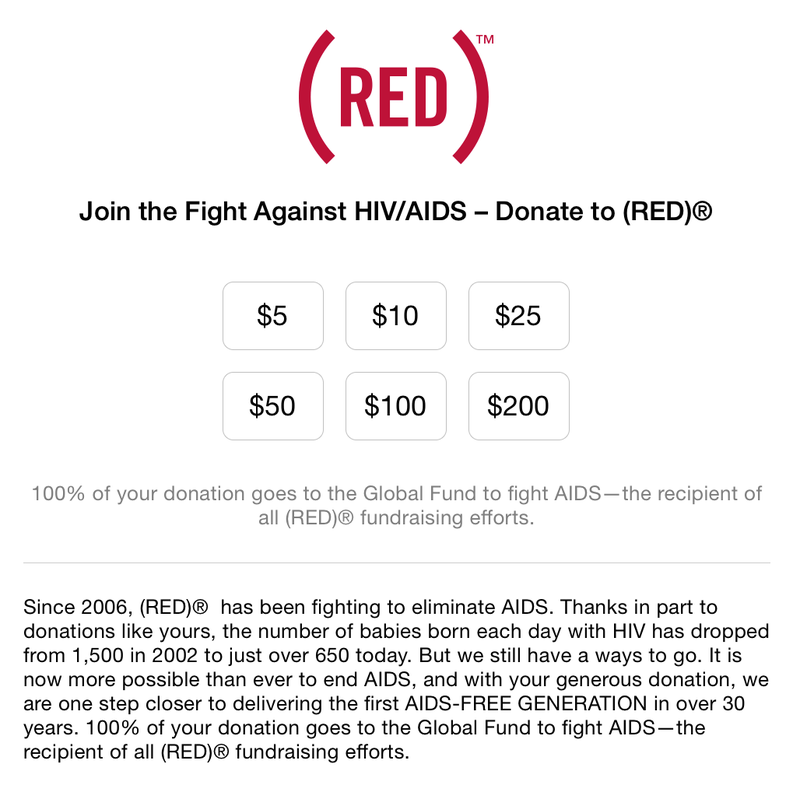 Please, make a donation to help fight HIV/AIDS by participating in one of these programs.